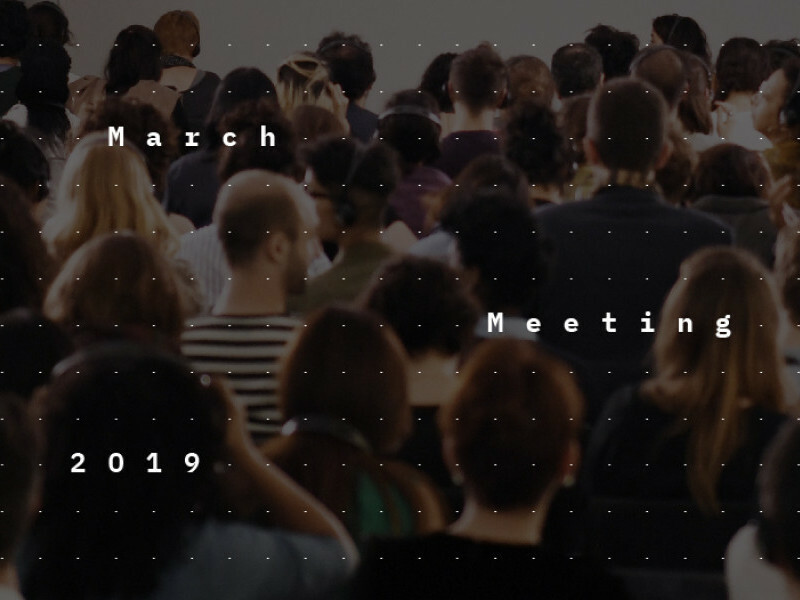 March Meeting 2019: Journey Beyond the Arrow—From the Multiple, in Process, with Flexibility and Adaptation. Taking inspiration from the artists in Journey Beyond the Arrow—where asking questions forms part of an unending historical process as knowledge flows shift according to user or observer (arriving or departing, indoctrinated or assimilated)—this day of March Meeting 2019 is designated as a performative discursive experience, composed of conversations, readings and relays (series of back-to-back performances/readings) that all address a similar theme but from differing perspectives and geographies. Seeking the drama of the stage, guest speakers share critical reflections (drawing on specific lighting, carefully cued images and sounds) and evoke the ‘theatre of art’ as a crucial space where comparative intelligence about conflict and intrigue can be engaged. Instead of questions and answers following each presentation, discussion will take place at the end of day, bringing all speakers together for a meet-and-greet with the audience.